Samsung has been grabbing headlines for all the wrong reasons lately. The launch of its Galaxy Note 7 was marred by faulty (read: exploding) batteries, prompting the company to announce an unprecedented recall of about a million handsets that wiped a few billions from its market value — all this as Apple launched the iPhone 7 and 7 Plus and now Google is going for a piece of the high end market with the new Pixel phones. To its credit Samsung was quick to address the issue and set the replacement program in motion. However, new reports of an actual replacement unit catching fire while its owner was boarding an aircraft is not going to bode well for the company. The incident occurred while boarding Southwest Airlines flight 944 from Louisville to Baltimore and resulted in all passengers being evacuated and the flight cancelled. 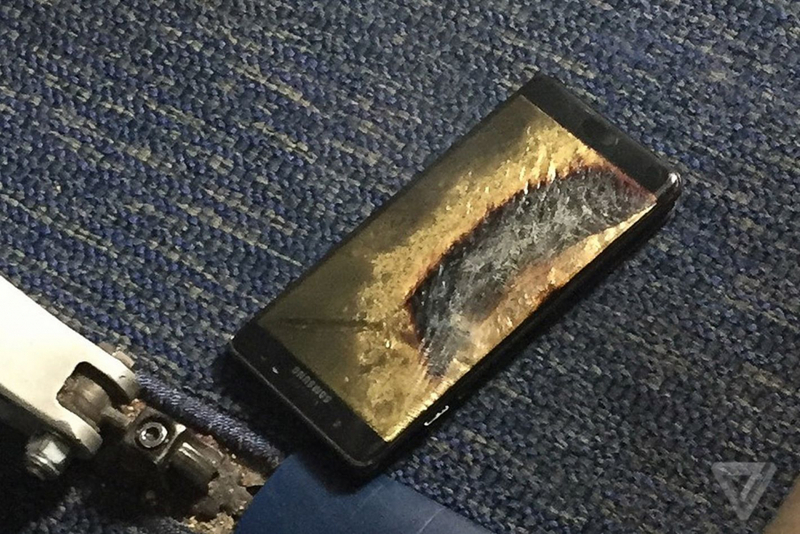 Apparently the owner, Brian Green, had had picked up his replacement Galaxy Note 7 at an AT&T store on September 21st. The device was at about 80% of battery capacity and powered down at the moment it burst into flames, burning through the plane’s carpet and scorching the subfloor. All 75 people aboard the Boeing 737 were evacuated with no reported injuries. As verified by The Verge, a photograph of the Note 7’s box shows the black square symbol that indicates a replacement Note 7 and Green said it had a green battery icon. Samsung hasn’t issued an official comment about the incident yet. As for Green, he has already replaced it with an iPhone 7 according to The Verge. Ouch.